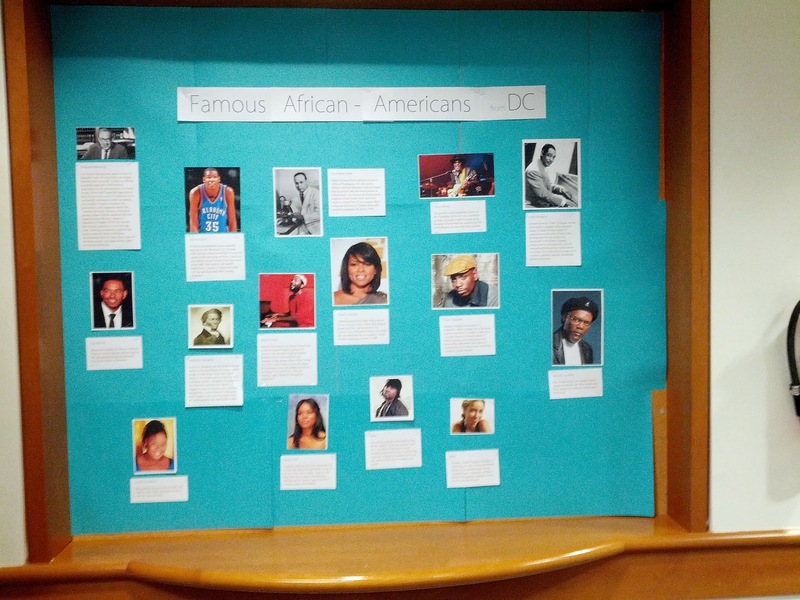 February’s bulletin board was famous African Americans from Washington, DC. I had a lot of assistance from a couple of the kids when creating the list, as well as a pretty spirited argument over whether or not to include Thurgood Marshall and Frederick Douglass. My argument was that they lived here so long they counted and were too important to leave off, and the kids’ argument was that Douglass was more associated with Baltimore, and I was just plain crazy to have Marshall. But since I’m the adult, I won haha.